It’s not all that unusual for South Allen Street to be closed to vehicle traffic for special events. The Central Pennsylvania Festival of the Arts, the Last Cruise, First Night and other events throughout the year see the thoroughfare open to pedestrians only. A new proposal, however, would see what a pedestrian plaza on Allen Street’s 100 block would be like on a more extended basis this summer. 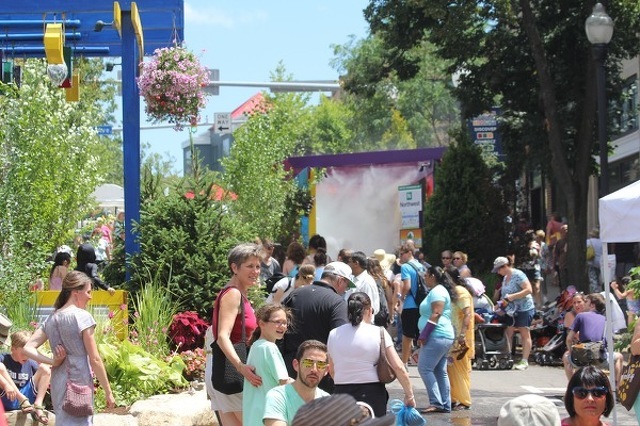 Centre Foundation has submitted an application to State College Borough to make the block a pedestrian mall for six weeks, starting on May 29 and continuing until July 8. Arts Festival then takes place July 11-15. Borough communications specialist Douglas Shontz said the application was received on Wednesday and multiple departments would review and give input before sending it to council. He said the proposal is tentatively expected to come before council at its meeting on May 21. The proposal includes a pop-up plaza on Allen Street with seating, landscaping, a play area for children and a stage for performances, among other features. A grant from the Knight Foundation Donor Advised Fund at Centre Foundation would fund the project. The idea of turning the block into a pedestrian plaza isn’t a new one, but it hasn’t been able to gain traction in the past. In 2012, Borough Council voted to send a pilot project for an Allen Street pedestrian mall to the Downtown State College Improvement District for further discussion. A number of business owners, however, expressed concerns about the measure, believing it would have a negative impact. The idea has resurfaced in recent years. In 2017 mayoral candidate Michael Black, who lost in the general election to Don Hahn, talked about an Allen Street pedestrian mall and said he had spoken with business owners who supported the idea. Kunkel said Centre Foundation has been working with the Improvement District and businesses, most of whom she said are supportive of the project. She said the foundation is working with the businesses on Allen Sreet and surrounding areas to accommodate deliveries and that it will hire additional cleaning crews and security to monitor the space while the plaza is in place. For the plaza, Centre Foundation has hired LARA Design Co., the landscape architects responsible for the Arts Fest installation on Allen Street and event organizers Groznik PR, which helped manage and promote Light Up State College in February 2017 and hosts Pop Up Ave flea market. More information will be announced if the pop up plaza is approved by borough council. StateCollege.com columnist Patty Kleban floated the idea, taking inspiration from the National Harbor in Maryland, in a column last summer. A State College area McDonald's will be undergoing changes that will make it one of the first of its kind in Centre County. 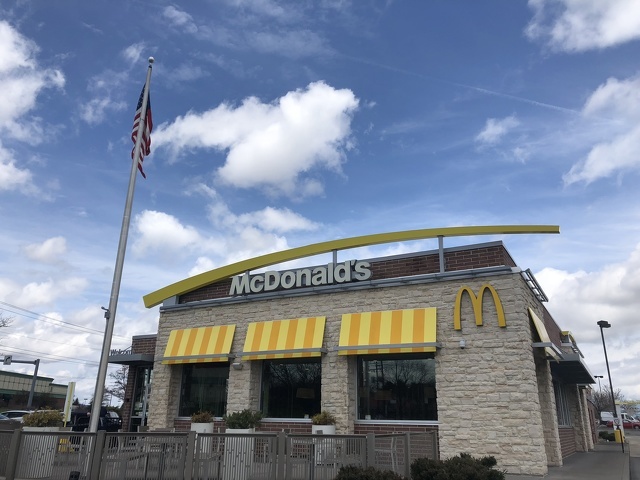 Renovations to the McDonald's restaurant at 2821 E. College Ave., near the Nittany Mall, will add new technology that changes the way customers order, pay and are served.